I’m much like you – I sing in the shower. The tiled walls provide great resonance of the sound, and being your own appreciative audience, means you don’t have to face the fact that you’re far from pitch perfect. Though I live for music, love singing, and have even considered learning to sing properly before; something I’d never considered was singing while on my travels. But, as I discovered, singing holidays are a thing! Now just because there are singing holidays and retreats, it doesn’t mean you should jump in with both feet. But I was headed to Antigua, in the Caribbean, and had an email from the trip organisers: “Would you like to join the Caribbean choir?”, it read. “YES!” the diva within screamed. But just as I was about to sign my name on the list, I paused unsure my fellow travellers, least of all Antigua, was ready to hear my dulcet tones. But deep down I was desperate to join in. Like others, I’ve flexed some vocal gymnastics whenever the likes of Whitney, Adele or Beyoncé have come on the radio. I’d never go to X Factor – I’d genuinely want family and friends to stop me from doing that. But my voice wasn’t too bad… was it? 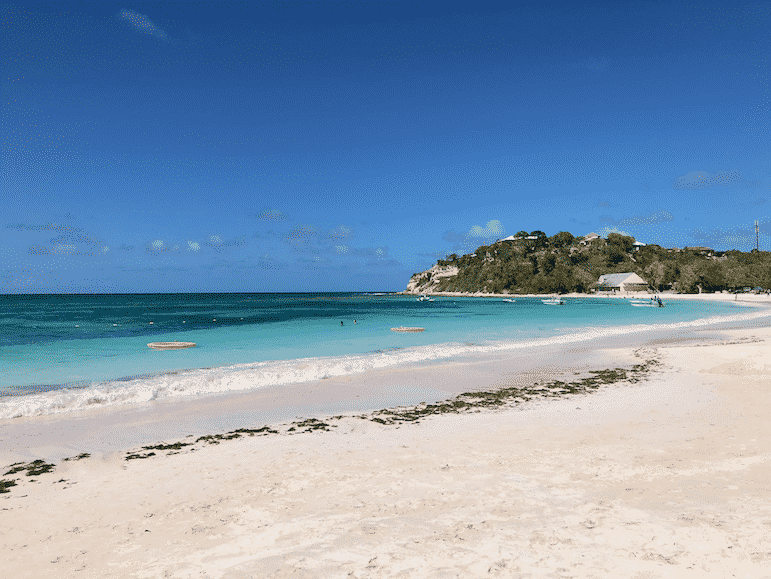 I looked at the list of names, saw some friendly faces within my group of travel bloggers headed to Antigua and thought, why not? Weeks later as we landed under the dazzling Antiguan sun I was excited and apprehensive. On the transfer to our hotel, we met Mike and Carol King, who were to be our choir coaches, and things became just a little serious. 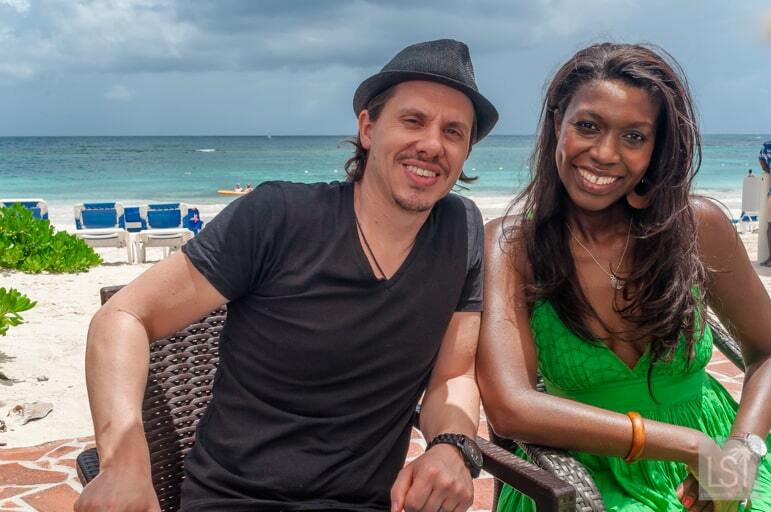 You see Mike is a musical director, arranger and vocal coach of considerable experience. He is celebrity vocal coach to the likes of Florence Welch of Florence and the Machine, has worked with Mark Ronson, Lily Allen, Boy George and was a coach on The Voice UK. We would be taught to sing by one of the UK’s top vocal coaches. Carol too has plenty of singing prowess and takes lead vocals in choirs the pair run in the UK. It was brilliant but truly daunting! Terry, who spoke to Mike and Carol first, had already dismissed joining the choir with a near-terrified: “Noooo” and shake of the hand for emphasis. The pair were undeterred though, and during our hour-long journey to our hotel, they explained what we’d be doing over the next few days. 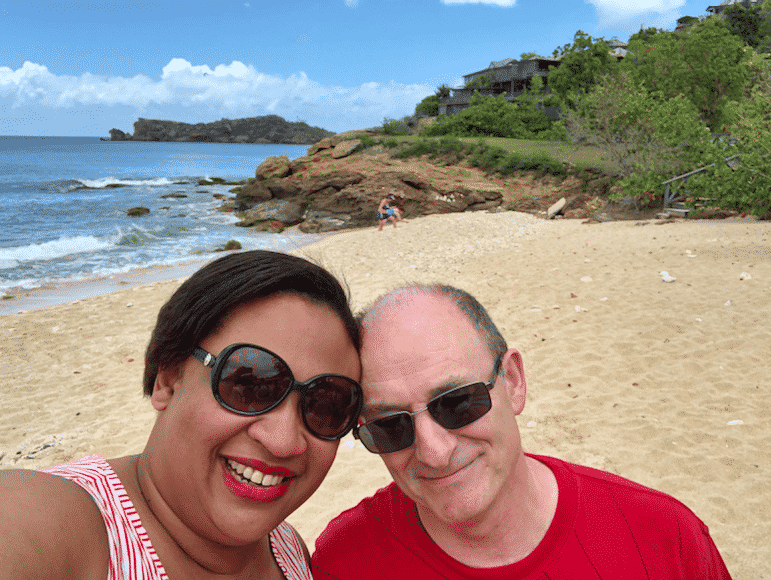 This wasn’t the first time the couple had run singing holidays abroad but it was the first in a partnership with Elite Island Resorts, a brand with resorts across Antigua and the Caribbean. The more we talked to Mike and Carol, the more I could see Terry’s interest piquing in the process of learning how to sing and joining a choir. “Really?’ he asked. “You can teach anyone to sing? Perhaps there’s hope for me yet!” But I believe it was Mike and Carol’s friendly, gentle nature, plus the thought that joining a choir might be fun, that finally made Terry decide to give it a go. The next morning we headed for the library, but the next two hours were set to be anything but silent. 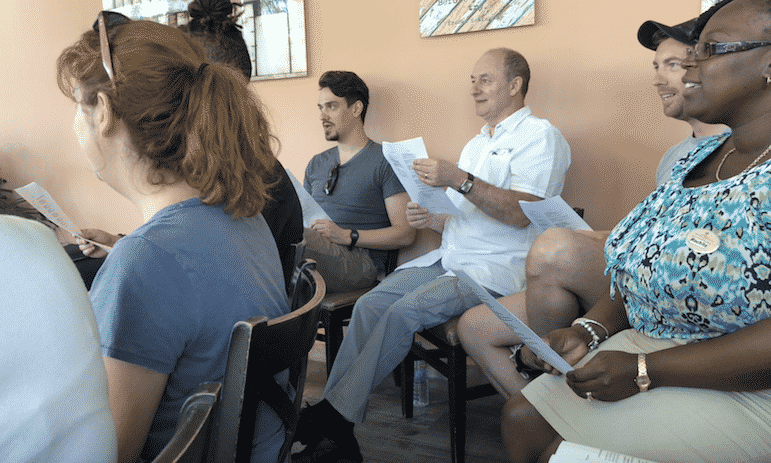 A group of around 20 of us nervously took a chair with room temperature bottles of water by our side – apparently, it is better for the vocal chords, and today we were finally going to sing. We started with gentle stretching exercises to warm our muscles. Then “Ma-ma-ma-ma-ma-ma-ma-ma-maaaaaa,” and “Eeee, eee, eee, eee, eee.” Mike had us wrapping our lips around the sounds, breathing in and forcing breath out with our diaphragms to ready our voices. Naturally, there were plenty of giggles – who can do rubbery lips while emitting a motorbike sound without laughing first time around? But a lot of the laughter just covered our uncertainty. Could any of us really sing? Would we be put on the spot and made to sing in front of the whole group? I’d realised we would have to be divided into tenors, altos and sopranos to sing various parts in the songs, and feared we’d need to sing solo for the decision to be made. Mike though, knew there was safety in numbers. 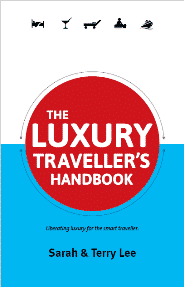 After what he described as a rudimentary process – taking us all through a series of notes until we found our individual comfort zones – we were grouped into the various registers. I comfortably took my place among the alto voices and Terry with the tenors. Let’s Stay Together was our first song, and I was immediately comfortable – I knew this song! The three parts joined beautifully on the chorus with sopranos starting things off with a pleading, high “L-eeeeeeets” and the rest of us coming in for a wonderful choral sound. As we largely nailed it within an hour or so, I realised the Al Green soul classic was a great opener. It was accessible, well known and had easy notes that didn’t challenge too many voices. We moved to another classic song – Many Rivers to Cross by Jimmy Cliff, and it was time for the altos to take the lead, our warm tones rounding out the first verse. We also started to dig deeper into the emotion of the song and its lyrics, Mike showing us how to alter our tone and timing to inject feeling into the song. We finished our first session to rousing applause – our own, admittedly, but it was fuelled by sheer joy. You see most of us had never sung outside of our own bathrooms. And there, that beautiful Antiguan morning we’d sung two songs – they were far from perfect – but we’d done it. An early sense of achievement followed us through our day as I went to see stingrays at Stingray City, and Terry went kayaking and visited Bird Island. 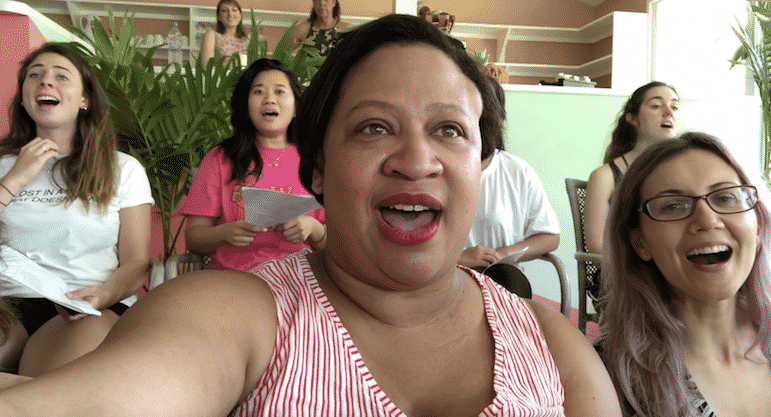 And during the week, no matter what things we were doing in Antigua, Caribbean choir members were inevitably singing through it, or exchanging excited squeals about just how well we were doing and how much we were falling in love with singing. Even Terry, the most reluctant of choristers, had found a new confidence and a new love on this singing holiday. And this was just as well. On day two Mike revealed that two days later we’d be singing four songs to an audience. In the next two two-hour sessions we took on (Your Love Has Lifted Me) Higher and Higher, by Jackie Wilson, and Stay, by Rihanna. Learning the latter really took us to another plane. Stay is a much more complex song, full of heart-wrenching emotion. We had to control our voices differently, twist and turn notes, lower our vocals to a whisper then boom them at the appropriate time to communicate the sentiment required. It was challenging, yet I was fascinated at how small changes made such a big difference to our performance and the storytelling. I loved this technical singing challenge and we all embraced it. Soon Terry and I were practising the songs in our room, listening back to recordings so we knew how we needed to hone the song. We were singing at all times, and yes, even in the shower. The evening of the performance, our blogging friends – those on the trip who hadn’t signed up to the choir, gathered with guests and staff from our hotel, Pineapple Beach Club and the neighbouring Verandah Resort, plus invited guests, at the Outback Restaurant overlooking the Atlantic. As the sun set, we lifted our voices and sang. Mike had warned us that the acoustics would be different now we were outside, that there was a risk of our voices drifting away into the Caribbean night. But as we ended with Higher and Higher to a tuneful thunder of voices Mike smiled a broad smile, the audience whooped and hollered and we jumped in the air, hugging each other, jubilant. We had done it! We started the week unable to sing a note but somehow finished it having learnt how to carry off four songs. We felt a deep sense of achievement – not something you’d necessarily expect on a Caribbean holiday. Mike too was pleased with what we’d achieved, and in many respects that made it all the more wonderful. He’d taken us seedlings and nurtured us into beautiful – even if far from fully grown – singers. Our singing holiday had truly lifted us higher. We would thoroughly recommend a singing break to anyone. 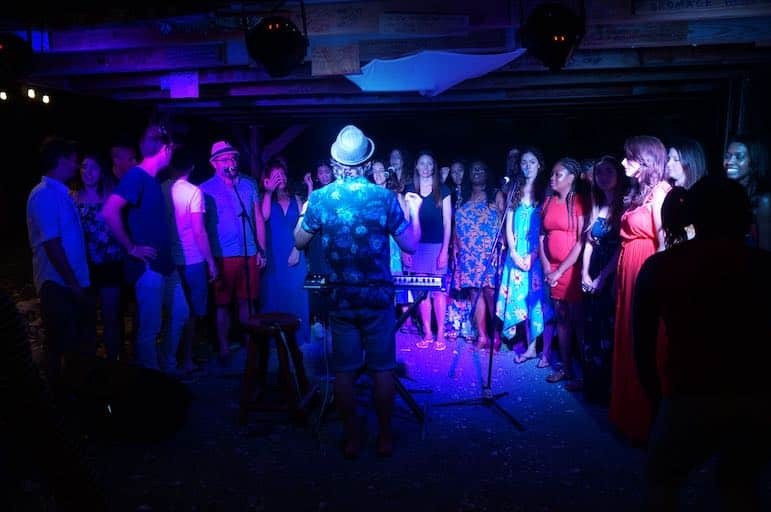 If you have a love for music, want to stretch your singing ability – or even discover if you have any, it’s a perfect way to do so in a beautiful location. Here are some choral singing holidays we’ve found around the world – no experience required. Elite Island Resorts are planning more Caribbean choirs at their resorts in Antigua and Barbados. 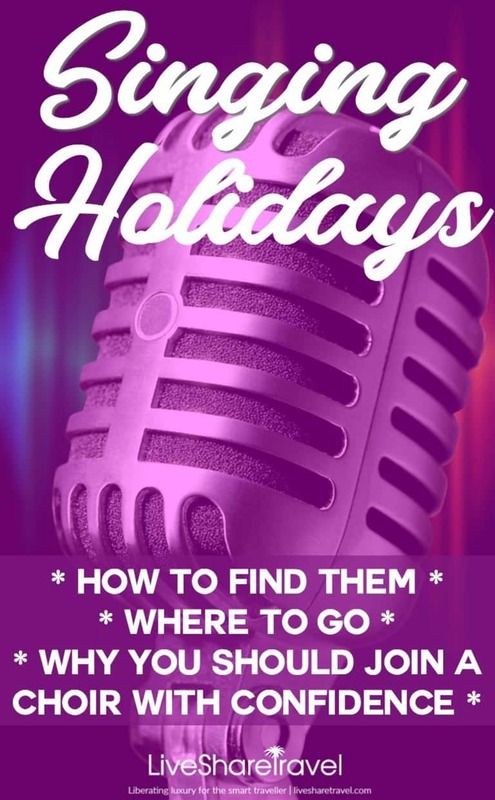 Mike and Carol run a series of holidays and retreats for singers in spectacular destinations such as New York and Barbados, as well as in Cornwall in the UK. There are also singing breaks in Italy where you can learn everything from vintage swing to musical theatre, folk to classical. Authentic Adventures runs a series of creative travel breaks including choral a cappella holidays in Austria, Italy, India and the US. We never, ever expected to fall in love with singing, or for it to touch us in the way that it did. There’s something freeing and truly joyful about it. There’s even science that shows there are health benefits to singing. Professor Graham Welch of the University of London explained: “Singing has physical benefits because it is an aerobic activity that increases oxygenation in the blood stream and exercises major muscle groups in the upper body. The Association of Teachers of Singing has a directory of singing teachers all over the country. Vocaltutor is a network of qualified voice and singing experts based throughout the UK. There are even online singing classes available on Skillshare. Mike runs My Cool Singers – a group that meets once a month and is open to all singers regardless of level, age or experience. We’re hoping to catch their next performance in Greenwich in September. Rock Choir is one of the largest choral singing networks with groups across the country and offers the chance to sing pop, rock and chart songs. With a directory of more than 4,000 groups, British Choirs should list one close to you. And if you want to see how the pros do it, check out the Mike King Collective, they also perform across the UK and have an album available. When God passed out singing genes he def skipped me. So I was greatly interested in your post. I love to sing but am bad at it. I had no idea the holiday singing programs even existed. Great post. Oh my goodness, this is so sweet. I’ve been a choir kid since I was like…10. In high school, my choir did an international competition in Budapest, and we also toured in Italy singing in the Vatican and in St. Marks in Venice. It was amazing. Travel is really special when you’re sharing music with people. Great article. Would I be able to contact you about a singing holiday that I am running this year in France? I don’t have any experience of this one but there’s a tour later this year with Wild Tour Adventures – https://www.wildvoiceadventures.com/singing-holiday-south-africa-safari. It looks to be in October too, so should be a great fit for you. I hope it works – I love South Africa! Hi. Thanks for that, but it looks so expensive and posh hotels, so although the dates fit amazingly, out of my price range. The one I went in Republic of Georgia was £1000, 2 weeks, all in, except airfares. This one for less time and less meals is £4000!!!! Hi Hilary, oh that’s unfortunate. A couple of things I’d highlight is that you can’t really compare prices in Georgia to South Africa. Also this does include a safari, which is probably what puts the price up considerably. Safaris tend to be pricey, but they are incredible experiences (you know, of that “once in a lifetime” bucket list category). I have fantastic memories of the one I did in South Africa. I’ve also been to the winelands a couple of times, including Franschhoek, which was great. Still, if it’s out of your budget all this could be moot. I hope you find something suitable though. 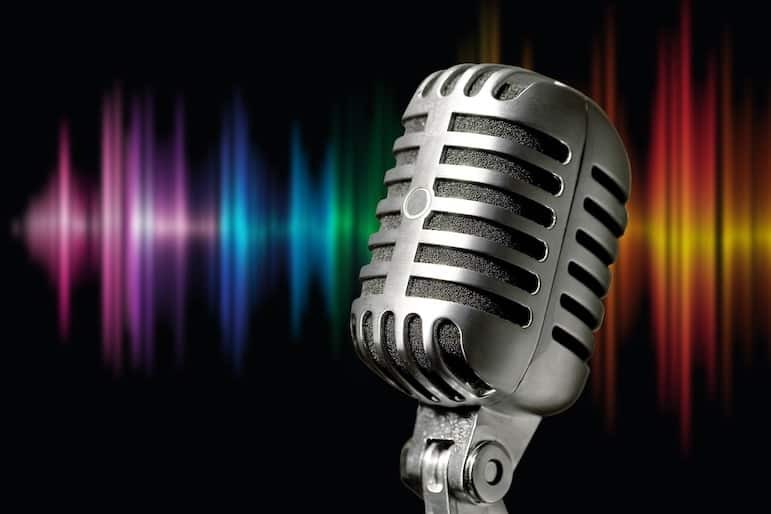 Let me know if you do as I may follow in your footsteps – am a bit addicted to singing now!